Any love for the Tudor Harrods? Nope. Must admit i have a strong eversion to anything branded Harrods to be honest. Haha, you must be from the UK! 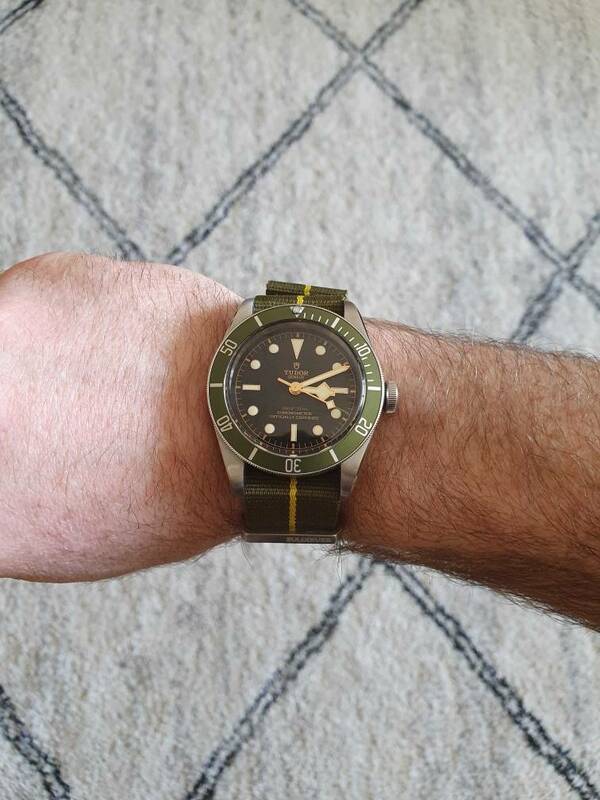 I like them a lot, but i have a weakness to watches with a bit of green in general. What is the wait on them at the moment. I live is Sydney and want to grab one when im on a trip to the UK. Just got one. Love mine, especially the hint of color on the tip of the second hand, it's a nice touch. It definitely will become a collector's item, if it isn't already. Ft first, color, numbered, unique provenance lot's going for it and a great looking watch. It’s a great watch. Can’t go wrong owning one of these. Yes indeed. I like the watch, think it looks really smart. Just the connection for me personally. Just got mine #271. I love this piece! Will post pics soon.